From May 14 - 23, 2014 I will be traveling through Nepal providing technical assistance to the tourism industry on accommodating travelers with disabilities. This article looks at regional innovators. Prasad uses the uses the Toyota Qualis. Arvind uses the Tata Motors Winger. The article "Nepal Technical Assistance: Vehicle Ramps and Lifts - Part 3" will include videos of vehicle modification using examples from the USA. From May 14 - 23, 2014 I will be traveling through Nepal providing technical assistance to the tourism industry on accommodating travelers with disabilities. This article looks at physical accessibility of buildings. 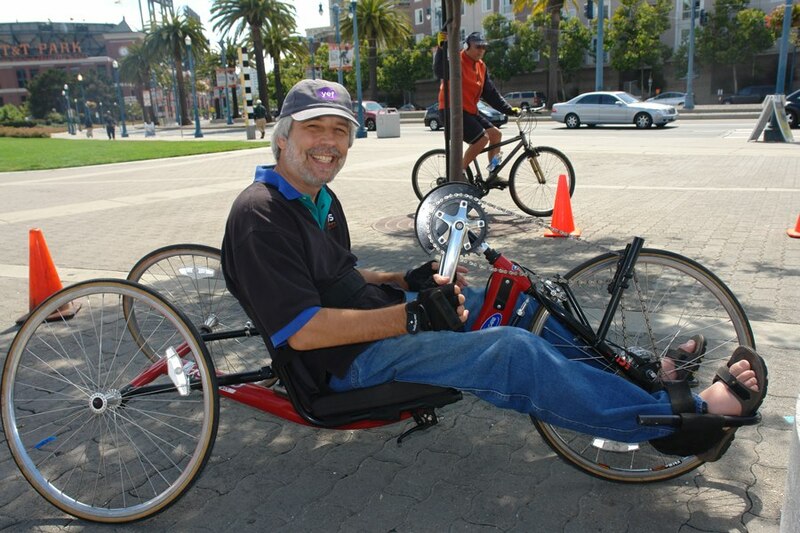 Around the world full social participation by people with disabilities is simply the norm. For decades the Americans with Disabilities Act (ADA) has been the standardizing force behind building codes across the USA that eliminate architectural barriers for people with disabilities. In February 2014 Lexology.com published an exhaustive review of the legal obligations in "Addressing ADA issues in hotel management agreements"
Of course the ADA is only applicable in the USA, but understanding it brings you a long way to understanding the mindset of your guests from a country that has spent more than a generation expecting inclusion in public accommodation. Removing barriers to other amenities offered to guests (e.g., drinking fountains, elevators and ATMs). the main lobby has at least one fully accessible restroom. In particular, if the main entrance cannot be made accessible, alternate accessible entrances can be used. If a restaurant or hotel has several entrances and only one is accessible, a sign should be posted at the inaccessible entrances directing individuals to the accessible entrance. This entrance must be open whenever other public entrances are open. 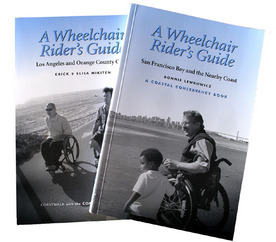 The 2010 standards require that 60 percent of all public entrances be accessible. From May 14 - 23, 2014 I will be traveling through Nepal providing technical assistance to the tourism industry on accommodating travelers with disabilities. This article looks at assisting a blind traveler. Those of us with disabilities might get a little ruffled at the question but it still gets asked, "Why do people with disabilities travel?" The truth is, knowing the answer to that question is crucial as the world's population ages and so proportionally more people - and thus travelers - will have some sort of disability. Yet there is no one answer. That is because disability cuts across every distinction - age, gender, wealth, race, language. Every birdwatcher knows the importance of recognizing a species' song - none more than a blind birdwatcher. And pretty much every mountain climber knows that Erik Weihenmeyer didn't consider being blind a reason for him not to summit mount Everest. 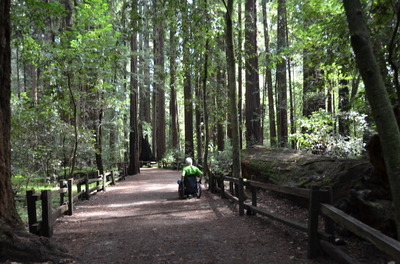 People with disabilities are going to turn up in every activity that appeals to tourists. How can you be prepared to make it a good experience for them? The first answer always and everywhere is "Ask them." What we suggest here will be helpful for some and not so helpful for others. Here is a well-done video from RNIB of Scotland. From May 14 - 23, 2014 I will be traveling through Nepal providing technical assistance to the tourism industry on accommodating travelers with disabilities. This article looks at traveling in a vehicle while remaining in a wheelchair. Before deciding on what design solution will work for your vehicle and situation it is helpful to have a sort of mental model breaking down the task you are trying to accomplish. Preliminary Step: Inform the wheelchair user of exactly what you intend to do and obtain their feedback and permission. Construct a loading platform that is level with the vehicle floor. Build a slope into the floor of the vehicle (sometimes combined with a suspension system that further lowers ("kneels) the vehicle. 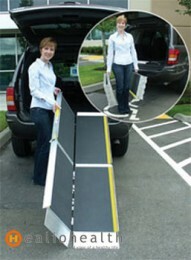 Carry a ramp that can be manually attached for loading and unloading. 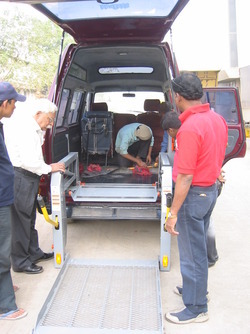 Install a mechanized ramp or platform lift into the vehicle. The first solution is valuable for fixed route buses but unfeasible for more agile vehicles. The second solution often means loss of more usable floorspace than a transportation operator would like. The third solution is popular as a cost-effective response as long as prior planning resolves how and where to secure and transport the ramp. The fourth solution is the subject of the following article. From May 14 - 23, 2014 I will be traveling through Nepal providing technical assistance to the tourism industry on accommodating travelers with disabilities. 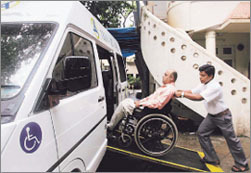 This article looks at transferring to a vehicle from a wheelchair. Many wheelchair users are able to transfer independently or with minimal assistance from their wheelchair to a car seat. Often this is preferable to sitting in a wheelchair even in an accessible van. 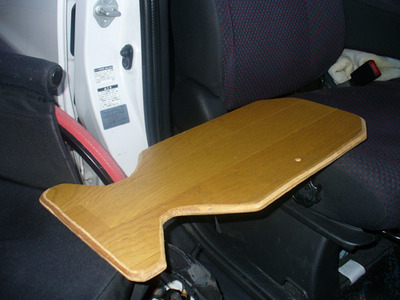 Unlike a car seat with springs a wheelchair does not absorb shock from the road. 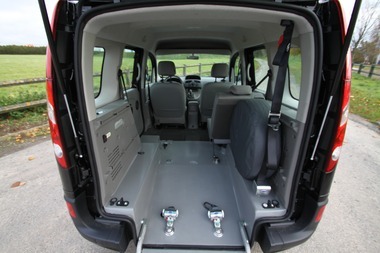 Add to that the fact that a van or bus has stiff suspension and the wheelchair is usually secured right over the rear wheels and you have the recipe for an uncomfortable ride unless you transfer! This instructional video produced by a Canadian hospital network emphasizes some of the basics such as assuring that the car and wheelchair are properly positioned and that the wheelchair wheels are locked. Notice the attention given to providing handholds for this wheelchair user who is able to stand. This video, complete with endearing mistakes, emphasizes the safety of the one who assists in a transfer. This video shows and independent transfer by a paraplegic into a sedan using a sliding board. 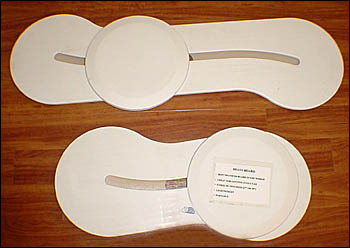 Sliding boards come in various designs and materials. A simple sliding board is easy to manufacture.